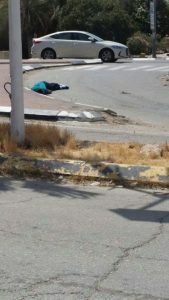 Palestinian medical sources reported on Monday evening that a man died from serious wounds he suffered Sunday when an Israeli colonial settler shot him near Mishor Adumim colony between Jerusalem and Jericho. 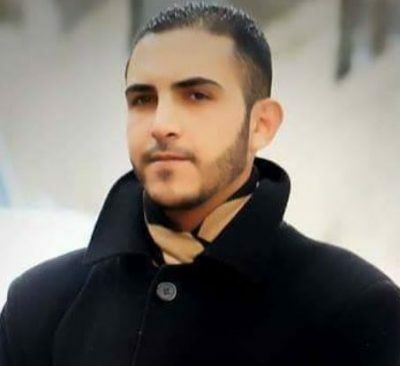 The sources said that Mohammad Abdul-Karim Marshoud, 30, died from his serious wounds on Monday evening. The Israeli army claimed that the Palestinian attempted to carry out a stabbing attack with a screwdriver near Mishor Adumim colony. Israeli media sources said that an Israeli settler claims that he was driving in his car near the settlement when he saw a Palestinian allegedly holding a screwdriver and chasing an Israeli man. 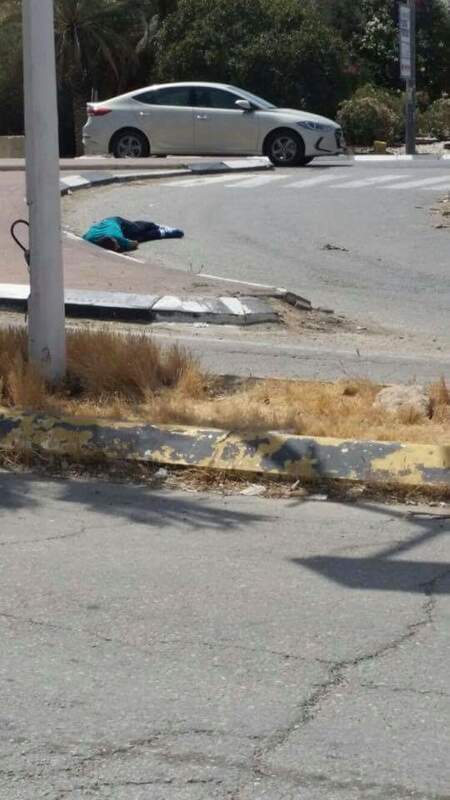 The unnamed Israeli settler told the reporters that he then pulled his car over and shot the Palestinian in the head. The Israeli colonial settler who shot Mohammad Marshoud in the head has not been taken into custody for the killing, and has not been identified by Israeli authorities. Initially, the Israeli military tried to claim that Mohammad was holding a knife – a claim which had to be retracted when it was proven untrue. In addition, photos released by the Israeli military show Mohammad Marshoud lying bleeding on the street, but no screwdriver can be seen anywhere in the scene. No gas station is visible in the area either. 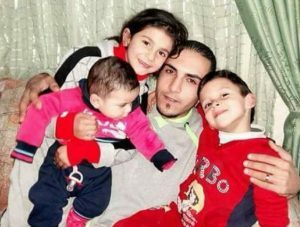 The Palestinian father of three was critically injured by the gunshot to his head and left to bleed on the ground as Israeli soldiers were called to the scene and took their time to secure the area before calling in an ambulance. Eventually, he was taken by ambulance to the intensive care unit in Hadassah Ein Kerem Hospital in Jerusalem. He remained in critical condition on life support until he died of his wounds on Monday. Mohammad was from Balata refugee camp, east of Nablus. He was the father of three young children, and had no political affiliation or indication in any way that he would engage in any kind of attack.